March 18, 2018—If the average person were to read any one of the three Rocky Mountain High Intensity Drug Trafficking Area (HIDTA) reports on the impact of cannabis legalization on communities in Colorado, they would think that the sky is falling concerning cannabis. What was apparent to cannabis activists, and those with any understanding of what constitutes valid evidence, was that the reports are completely skewed to show negative impacts. They rely on newspaper accounts, bad statistics, and law enforcement assumptions to reach their skewed conclusions. You can read the HIDTA’s most recent report here. The report noted anecdotes in the community that claimed an increase in homelessness and other unwanted social changes in the community. But, the actual evidence didn’t bear that out. “Some have argued that Pueblo has been inundated by migrants since cannabis has been legalized; we found no direct quantifiable evidence to support that perspective,” the report said. “Out-of-state migrants to Colorado generally bring college degrees, experience and affluence that enriches Colorado. To the extent that Colorado’s new “Green Rush” attracts migrants, without further investigation that demographic phenomenon operates to Colorado’s economic advantage. 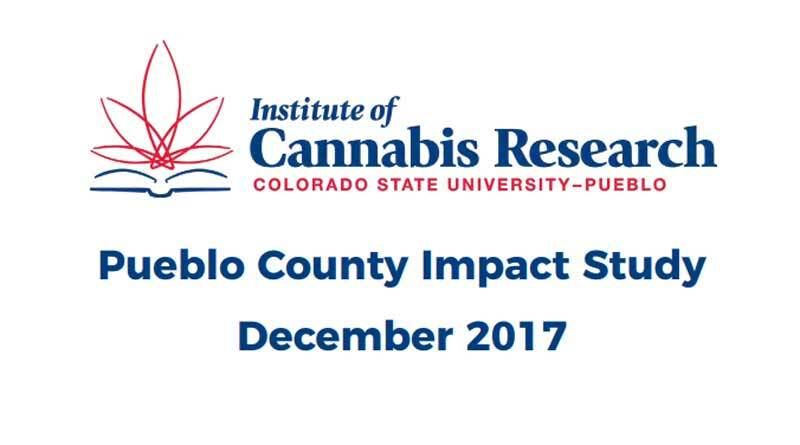 To Pueblo County Commissioner Sal Pace, long an advocate for the economic benefit of the cannabis industry in Pueblo, the report is a validation of the county’s efforts. The report concluded that there was over 58 million dollars of increased economic impact on the community and a net cost of only about 23 million. That is a net increase of over 35 million on the southern Colorado county. “The good news for the citizens of Colorado is this has been a net positive for our community,” Pace said. Thanks to Colorado’s legislature, many millions have been earmarked for research and that will go a long way to help discredit the biased reports like the previously mentioned annual HIDTA cannabis report. CSU–Pueblo has established the Institute of Cannabis Research to facilitate and direct dozens of research efforts.